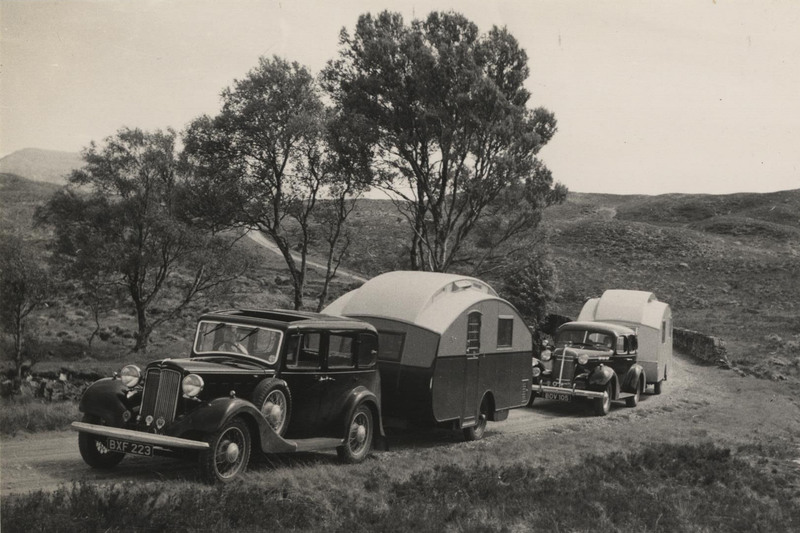 A roadside stop during a family tour of the Lake District and Scotland August–September 1934. 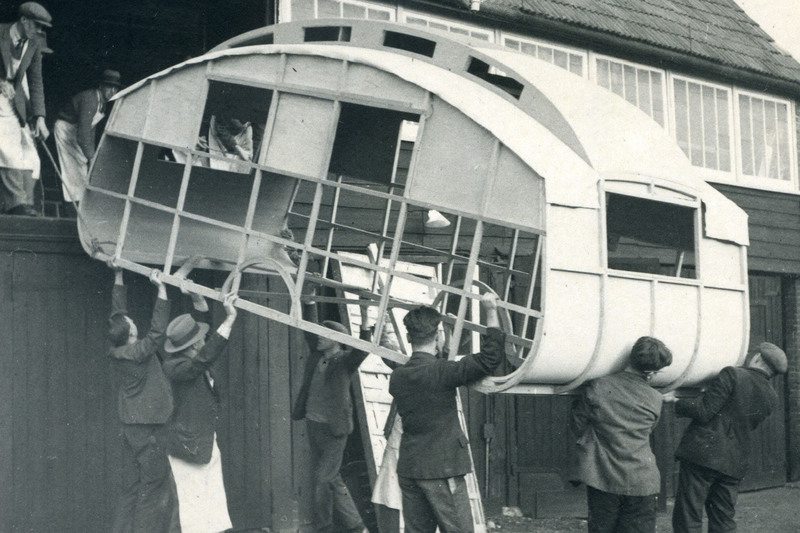 Workers lifting a partially built Winchester Royal caravan from the upper floor of the workshop. 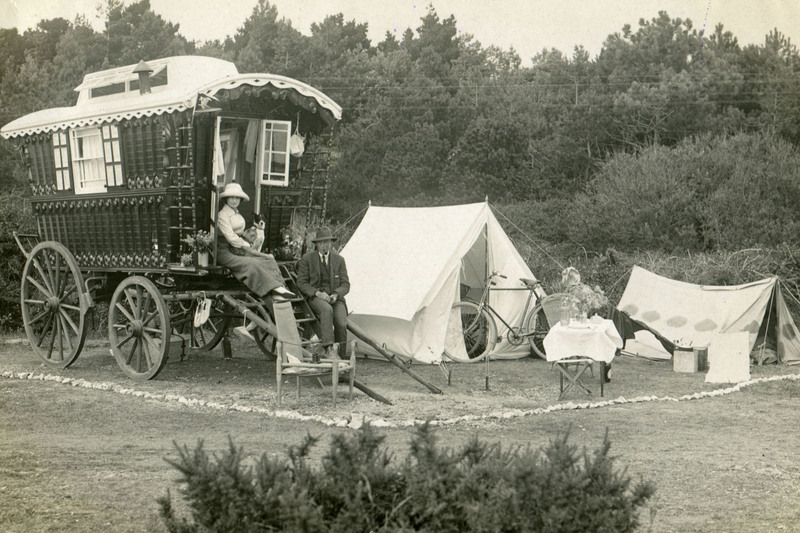 The wooden framework used in Hutchings caravans is clearly visible. 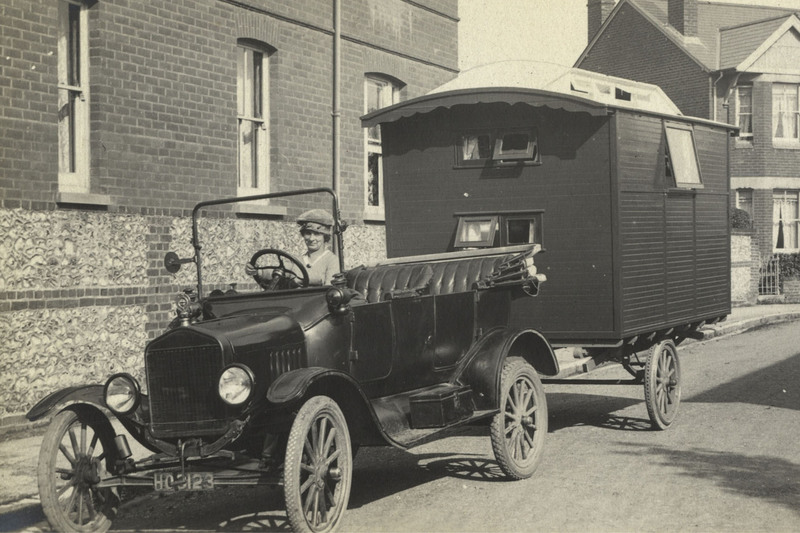 In 1921, Hutchings produced the Lady Nimble, his first trailer caravan suitable for towing by car. 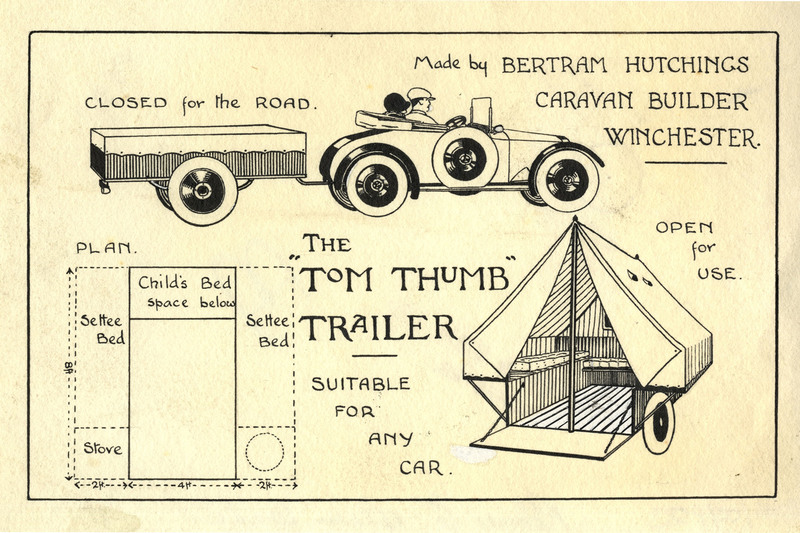 In addition to caravans, Bertram Hutchings also designed lightweight trailer tents such as the Tom Thumb. 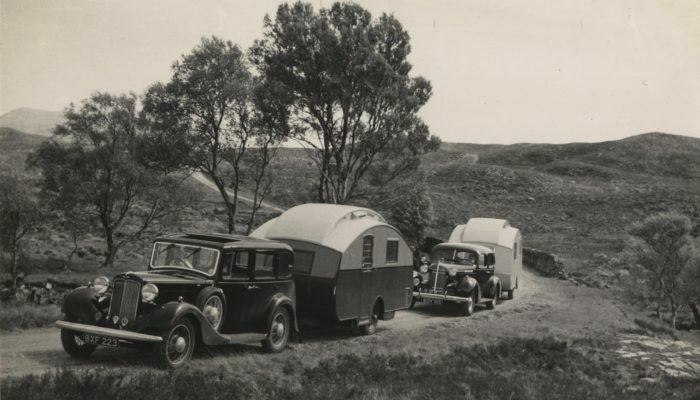 Hutchings caravans on a tour of Scotland in 1936. 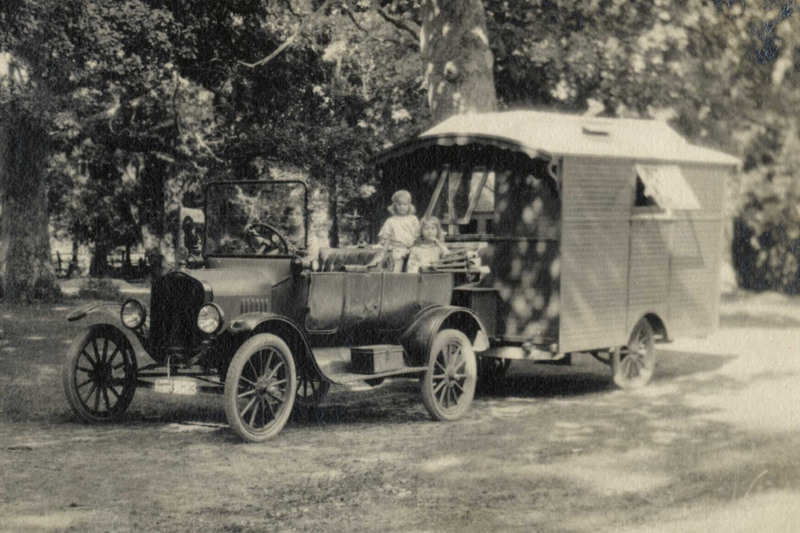 A family outing to the New Forest in 1921. 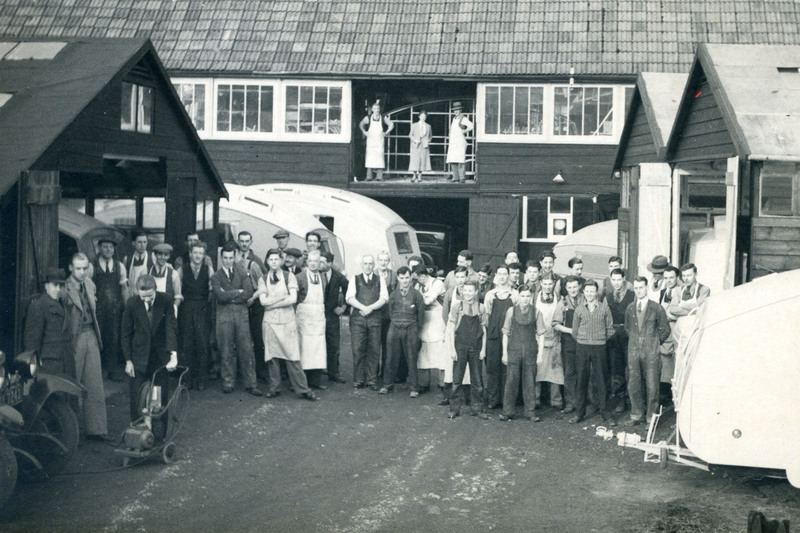 A team photograph of the employees at the Winchester works. 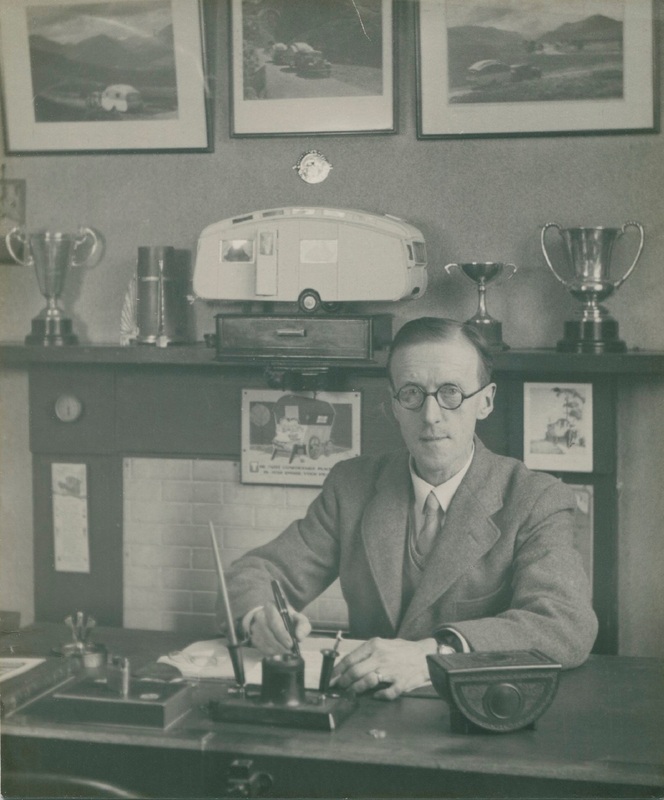 Bertram Hutchings started his business by hiring out a small fleet of caravans. 30 miles from Winchester, Lepe beach on the border of the New Forest was a popular destination. In June 2015, the Caravan and Motorhome Club Collection received one of its most significant donations to date. 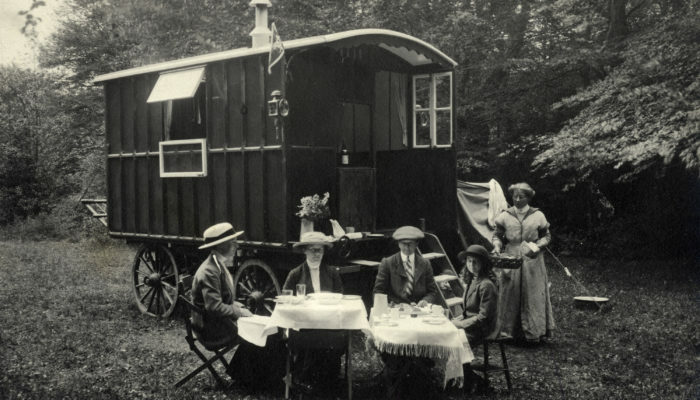 The Hutchings Collection is an archive containing 12 photograph albums, 500 photographs and ephemera relating to Bertram Hutchings and his company Bertram Hutchings Caravans Ltd, later known as Winchester Caravans. 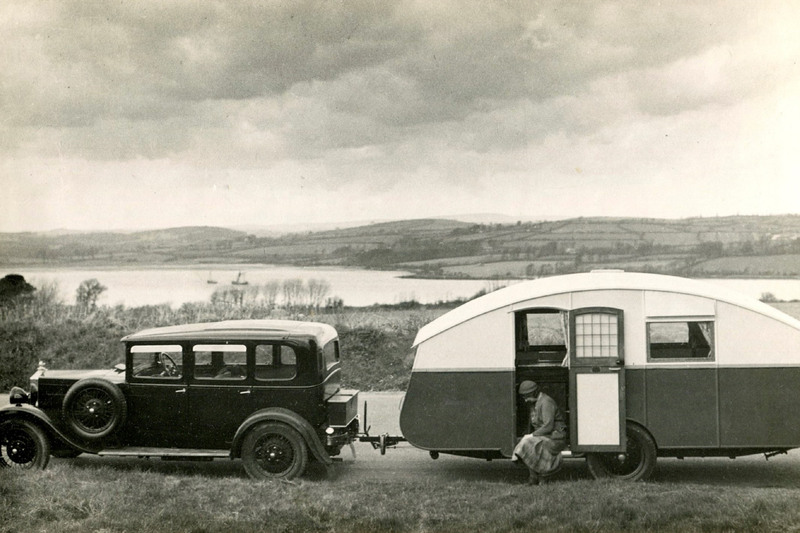 Known as ‘the Rolls Royce of Caravans’, Hutchings Caravans were among Britain’s most prestigious caravan manufacturers. The Collection spans the existence of the Winchester-based company, from 1911 to 1958, and includes photographs from tours of pre-war Bavaria and Scotland. 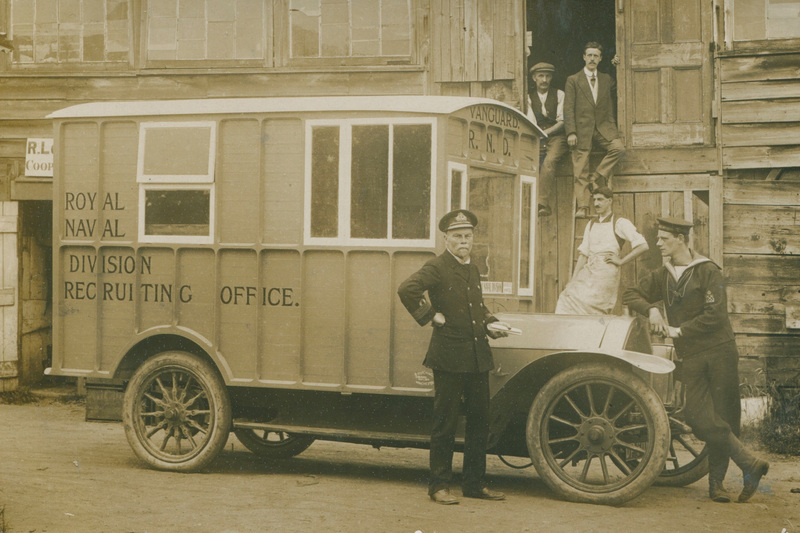 There are also rare photographs of motor caravans produced by Hutchings during the First World War. At the Caravan and Motorhome Club Collection staff and volunteers are working to catalogue, digitise and preserve the items.